Application for creating slide-like presentations, which can also contain video playback, camera feed or 3D models. Flow of the video playback can be controlled seamlessly between the slides, which allows user to create immersive presentations. 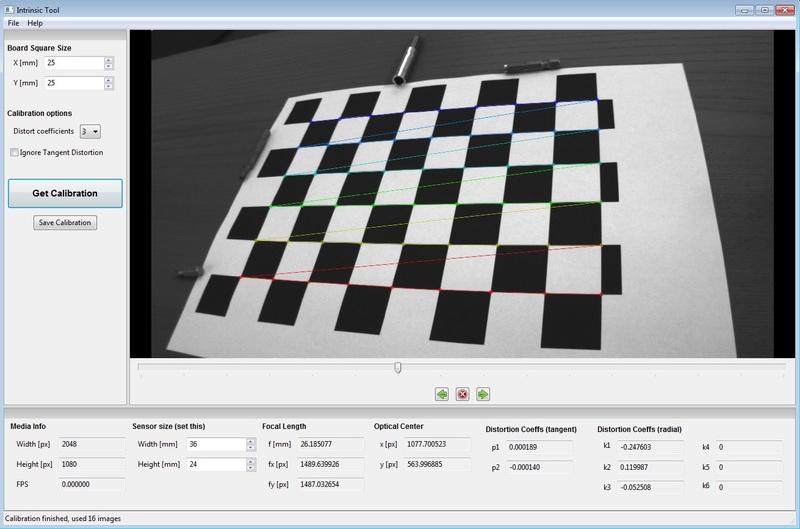 This program allows you to estimate instrinsic parameters of the camera by using shots that contains calibration checkerboard. Series of images or single video file can be used. If you use a video file, stable regions of the video are detected automatically and used as images for calibration. 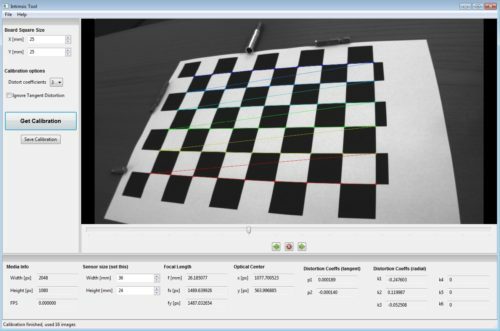 You can use this tool to estimate camera parameters for various computer vision tasks, but also for example, to estimate camera parameters for Blender Motion Tracking.